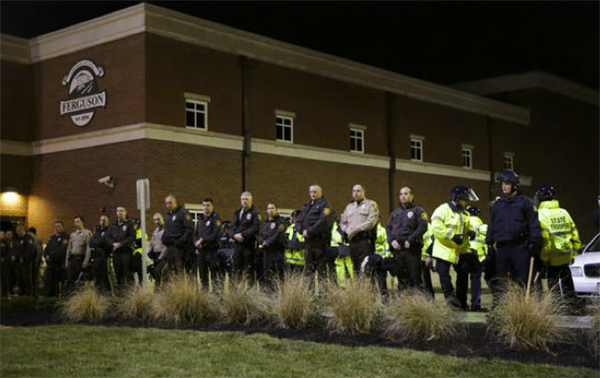 The scene in Ferguson, Mo. suburb, prosecutors said on Monday. e-mailed statement. He did not say what the decision was. jury had reached its decision but said he did not know what it was. thinking we're a bunch of wild animals. We're really good people here."